Our refurbished Motorola MC65 supercharges your mobile workforce and redefine productivity with the toughest, most flexible EDA on the market. Workers have multiple tasks and limited time. 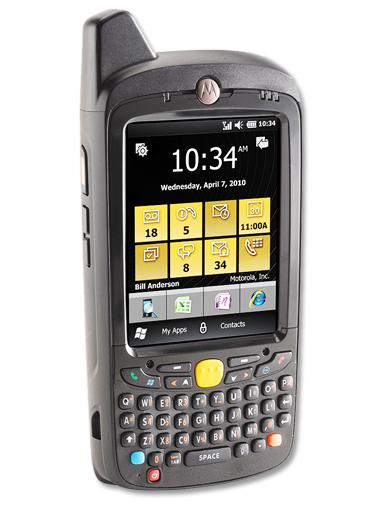 With the Motorola MC65, they have the tools in hand to get their jobs done right — right now. Desktop-like performance provides instant access to the applications and information back at the office. Contact us today about buying, servicing, renting or selling Motorola MC65 gear! Shave hours of time out of the work week by capturing and processing just about any type of data on site, quickly and easily — from a single document to hundreds of bar codes, a library of photos or a signature. 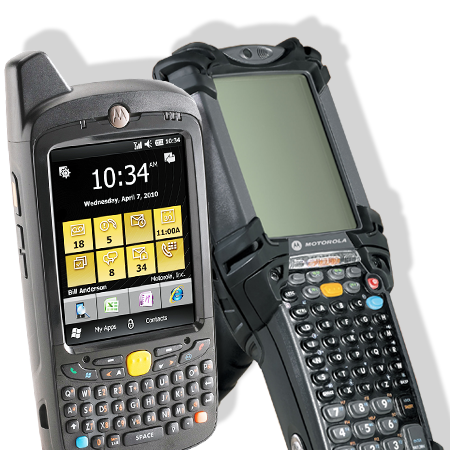 Activate and reactivate the Motorola MC65 on virtually any cellular network in the world, eliminating the need to purchase network technology (GSM or CDMA) specific devices, extending device lifecycle and ensuring that each and every worker has the best connection possible. Add a customizable user interface that makes doing business easier than ever and you have a real workforce multiplier — a device that turns paperwork and repeat visits into more tasks completed per day. Contact us today about buying, servicing, renting or selling Symbol or Motorola MC65 gear! Our technicians are detail oriented and focused on fixing known mechanical issues. We also take the extra precaution to make sure all devices are facing no further issues. We sell quality data capture equipment + more. All of the equipment we sell is refurbished, cleaned and tested to meet or exceed the original operating capacity. Some businesses don’t want to take on the overhead of owning data capture equipment. We gladly offer to rent all of our devices backed with our warranty. We buy equipment and trade equipment as well. If you have an old system and want to trade it in for something new, or vice versa, we can assist you. 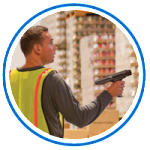 Need a service team you can count on? Look no further! We are committed to providing our clients with an unparalleled customer service experience. We achieve this by attracting the most talented and passionate technicians; each of whom uphold the highest standard of service. The 3 main reasons why our customers keep coming back! We pride ourselves on our ability to have what our customers need at a price that is under market value. Since we have 5 in-house, dedicated technicians it is no wonder why our quality of work is unmatched. Let us boast about our technicians again, they are the reason why our turnaround times are much faster than our competition. We offer some of the best prices in the industry. 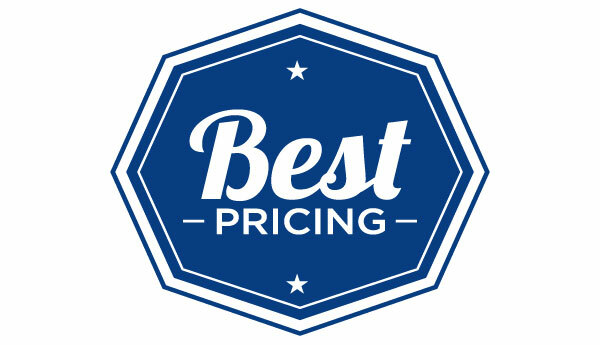 We are typically between 25-50% cheaper than retail pricing. All of our units are refurbished, cleaned and tested for quality assurance. We guarantee the quality of our work because we employ some of the best technicians in the industry. 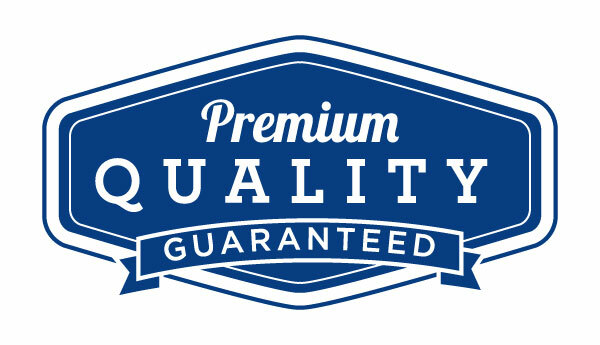 We also back our service with a free 90 day warranty on all work we preform. 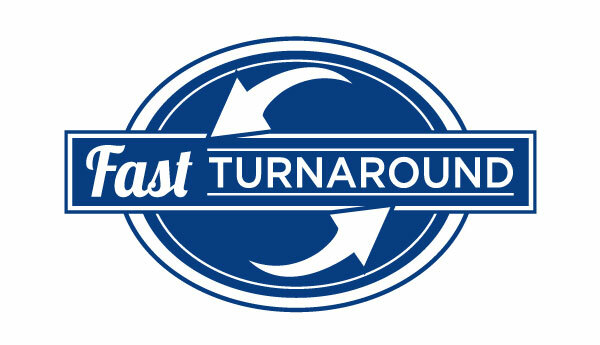 We understand the need for fast turnaround times! We do all of our work in-house and do not outsource. You ship (or drop off) and we fix all known issues and quickly return— no middle men. Join the 300+ happy clients of Sterling Mobile and see why they love us so much! 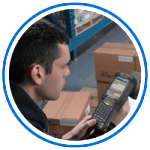 We purchased refurbished barcode scanners from Sterling Mobile for use in our warehouse for inventory control. We got an awesome price and the warranty package made us super comfortable which is why we gave them this great review. I recommend this company for all your barcode scanner needs! I received all of our equipment from Sterling Mobile in great shape and in a timely manner. I received up-date emails throughout the order, something that’s never happened with other vendors. In the future I will always check with Sterling Mobile first and I will be buying even more units when we need them. Let Sterling Mobile go to work for you!